Like previous installments, the 2017 Sundance Film Festival featured feel-good breakout hits (The Big Sick), acclaimed dramas (the post-World War II epic Mudbound) and the ever-present possibility of discovering the next big indie sensation. But beyond the typical festival buzz, this year’s slate of films also offered perspectives on masculinity and manhood that often challenged stereotypes. There were few clear-cut heroes; instead, we watched individuals who struggled with their lot in life, trying (and often failing) to remake themselves. Here’s a look at five such men — three fictional, two real — who left a deep impression. And that impression, by the way, wasn’t always positive. Most people remember 2006’s Oscar-winning An Inconvenient Truth because of its frightening PowerPoint presentation on the effects of global warming. But what gave the documentary its heart was the way it tried to humanize the man who gave that presentation. For years, Vice President Gore was popularly known as the wooden politician who tended to drone on while his running mate Bill Clinton was the epitome of charm. An Inconvenient Truth worked to change that impression, showing how Gore’s controversial loss in the 2000 presidential election deeply wounded him — and also how his long-term fight to protect the environment became a way to get over the sting of that defeat. 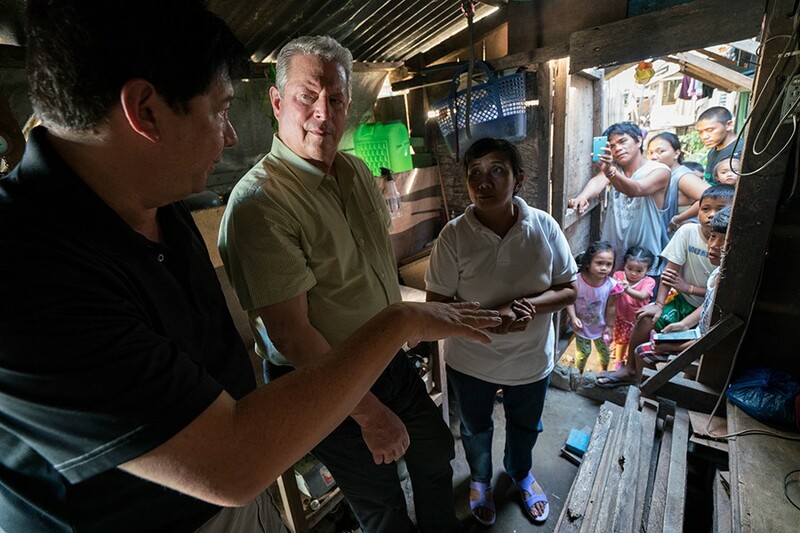 Gore is back for An Inconvenient Sequel, and while he’s still pounding the pavement to raise awareness for climate change, this follow-up not only reiterates the possible global catastrophe ahead but also tries to continue making Gore a dramatic figure at the movement’s center. The first time around, it was easy to feel sympathy for Gore and his cause. This time, it feels more like a sales job. Make no mistake: Global warming is a clear and present danger. The movie includes plenty of bits from Donald Trump denying the climate science, a scary foreshadowing of his administration’s early agenda to whitewash its findings. But An Inconvenient Sequel works overtime to insist that Gore is some sort of aw-shucks superhero fighting to save the planet. There’s a lot of footage of him visiting different parts of the world that are imperiled, and cameras are always conveniently around to capture every concerned look he makes while a local scientist or politician explains what’s going on. Consequently, the movie plays like a feature-length ad for Gore’s greatness and gravitas, when it should be more tightly focused on Earth’s looming disasters. Gore has spent much of his adult life on this cause, and that’s to be commended. But the movie’s fawning treatment of him — its insistence on making his personal investment in ending global warming equally important to the fate of the actual planet — gives An Inconvenient Sequel the feel of a vanity project. So while Gore tells a reporter in the film that he’s glad he’s given up politics, it sure seems like he’s still on the campaign trail. In Hammer’s brief film career, he’s gotten plenty of mileage out of playing All-American types in movies like The Social Network and The Lone Ranger. But his characters often have been more handsome than soulful — until now. 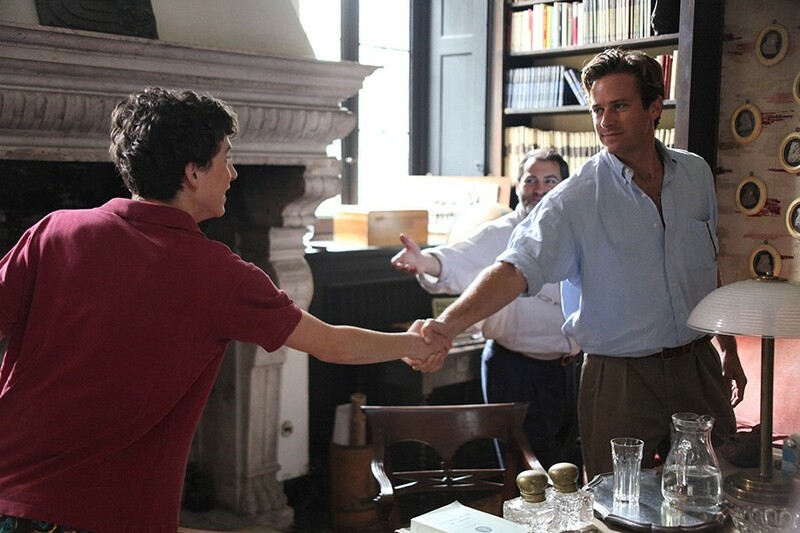 Lots of actors could’ve portrayed Oliver, an American scholar visiting Italy in the summer of 1983, but the romantic drama Call Me by Your Name wouldn’t have been nearly as swoony without Hammer. In the film, Oliver moves into the home of a brilliant historian to serve as his assistant, soon befriending the man’s 17-year-old son Elio (Timothée Chalamet). Not surprisingly, every woman in town is obsessed with the funny, gorgeous Oliver, but he and Elio share a deeper connection. Director Luca Guadagnino refuses to define either man’s sexuality, and as a result, Call Me by Your Name finds Hammer in a more melancholy, vulnerable mode than we’ve seen before. Oliver tries to resist his feelings for Elio, but when he succumbs to them, Hammer proves he’s not just a hunk: There’s joy and tenderness in his scenes with Chalamet, which only makes him seem more beautiful than usual. Yance provides a portrait of his brother that becomes a microcosm of the racism that’s still rampant in this country. Strong Island doesn’t make him out to be a saint — William previously freaked out on the mechanic, causing damage to his shop. But the film shows how local police and a grand jury seemed stubbornly inclined to believe the white man over the black man, leaving the Ford family without justice. 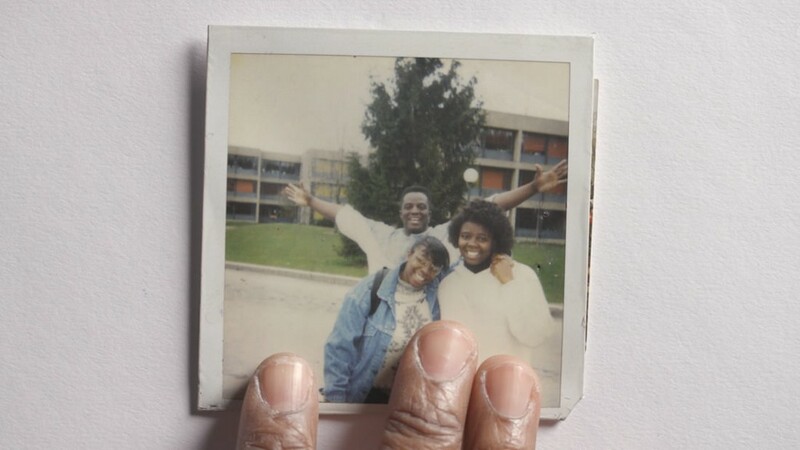 Helping to further humanize the tragic shooting deaths that have become far too commonplace in America, Strong Island lovingly eulogizes a man who, after some missteps, was trying to turn his life around — an opportunity he never received. In Walking Out, a familiar male-bonding ritual — a father takes his son on a hunting trip to make a man out of him — goes awry. 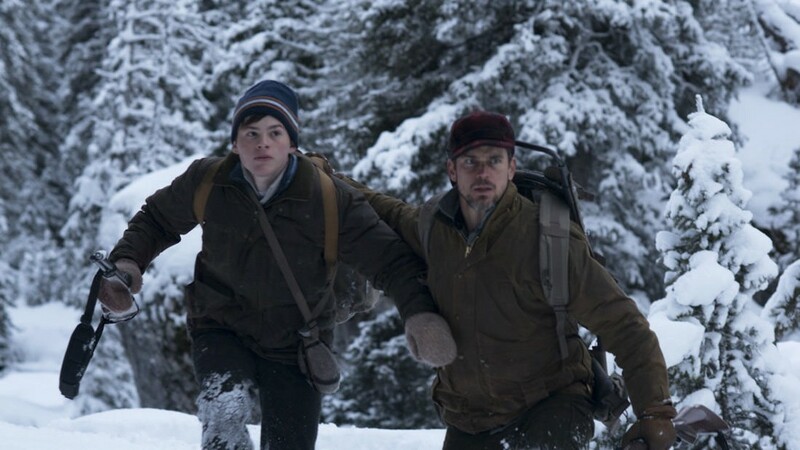 Wiggins plays David, a Texas teenager reluctantly visiting his dad Cal (Matt Bomer) in middle-of-nowhere Montana, unexcited about the prospect of shooting his first moose and resistant to Cal’s alpha-male posturing. But after a bear attack leaves David’s hand badly wounded and Cal accidentally shot in the leg, these two men have to learn to work together if they’re going to make it home alive. Suddenly, it’s up to the son to become the man in the relationship, literally carrying his father on his back as they work their way down the mountain to safety. Along the way, Walking Out becomes a blunt metaphor for the strange sensation every man goes through when he surpasses his father. Suddenly, David stops seeing Cal as an intimidating presence but, rather, as feeble. The son can no longer resent the father — instead, David has to do everything in his power to keep him alive because, no matter how much he resents the man, he can’t imagine his life without him. The Yellow Birds focuses on Bartle (Ehrenreich), an Iraq War vet who is returning home as a very different person than the one who left. For instance, he’s struggling with severe PTSD — he sleeps all day, and he doesn’t want to talk to any friends or family. For another, he’s harboring the secret of what happened to his good friend and fellow soldier Murph, who reportedly went missing over in Iraq. Ehrenreich is about to become a major star thanks to the fact that he’s set to play the young Han Solo in the next standalone Star Wars film, but in The Yellow Birds, he gives an anguished performance that suggests all the ways that the military’s ultra-macho culture ruins those who go off to war. Exploding in spasms of violence — he punches through a wall without warning — Bartle doesn’t have the tools to articulate either his mental anguish or his guilt about leaving a friend behind. What’s most upsetting about The Yellow Birds, though, is its suggestion that Bartle is but one of many veterans who, even though they got home alive, are basically dead inside. 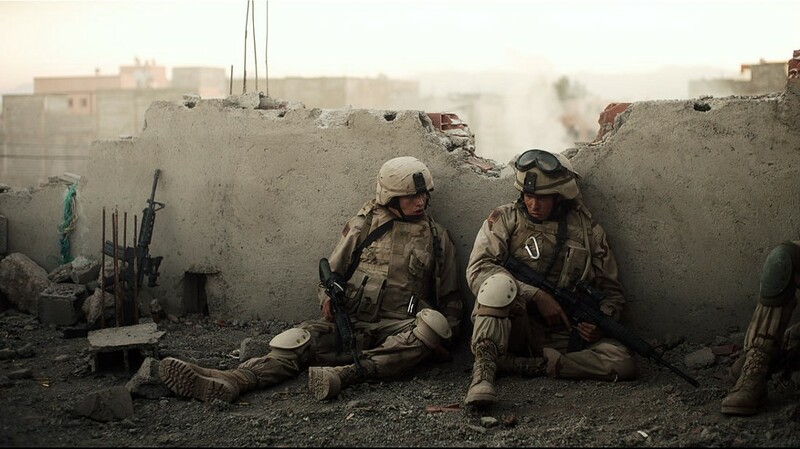 Other recent war movies, like The Hurt Locker, have expressed similar sentiments. But Ehrenreich reminds us that it’s a lesson we need to keep being reminded of.